Hattrick is a game where you get to lead a virtual football team to glory, in competition with other participants from all over the world. You perform the duties of both club owner and manager. You buy and sell players, invest the club's money in utilities like a bigger stadium, or in the youth squad. You select a team from the players who are in top form at the time, plan your tactics before the next match, decide on what sort of training is needed, and much, much more. You can keep yourself continuously updated on the state of your team by logging on to the Hattrick website, reading your team reports and checking out the latest news on the transfer market. This is also where you give your team orders for upcoming games and where you decide on how the team will train during the week. Hattrick is an online football game where you trade players and coach your team in competition with hundreds of thousands of opponents playing simultaneously from all over the world. As well as the game, the community of players provide a great deal of entertainment. There are 128 countries represented in Hattrick with managers all over the world. Since 1997, game has been developed by the Hattrick Team from first draft, through the first international editions (England, USA, Germany and Italy) in 2000, up to last added nations, Cuba, Uzbekistan, Cameroon and Palestine. With a constant growth the site approached the million users in 2008! As with any manager game, users must assign positions to the players and choose between some basic tactics and strategic options. Hattrick is always looking for new players. After a short registration period, the user receives a team. Nearly always, the newbie takes over someone's old, defunct team, and the team's position in the league structure with an initial set of players, a weak coach, a small staduim and a fanclub. The player is then free to manage his or her squad, sell and purchase the players, define a training scheme, and so forth. If the player is successful enough to win their league, he or she is granted promotion to a higher league the next four-months-long season, half of the time by automatic promotion and the other half via a qualifier game with a team that finished in the qualification zone in a league above. The Hattrick match engine is always under development, and the game developers are constantly adding new features to the game and enhancing the current ones. These additions, and proposed ideas, are usually accompanied by heated debate in the game's conferences. - World cups for National Teams or Under 20 National Teams. Hattrick also offers a Supporter feature that allows additional customization. With the Supporter add-on, the game also offers the ability to join various message board groups called federations. 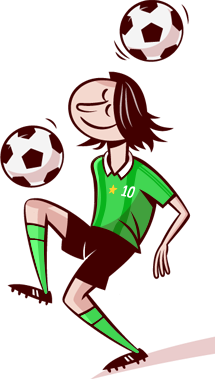 A federation is designed to allow aligned Hattrick players with common interests to share newsletters and a message board and organize friendly cups. Federations provide a place to talk about chosen topics away from the main forum boards. Supporter income helps to maintain and expand the resources needed by Hattrick. This page was last edited on 28 December 2013, at 23:42.